mimicking of his sister T-Boss. 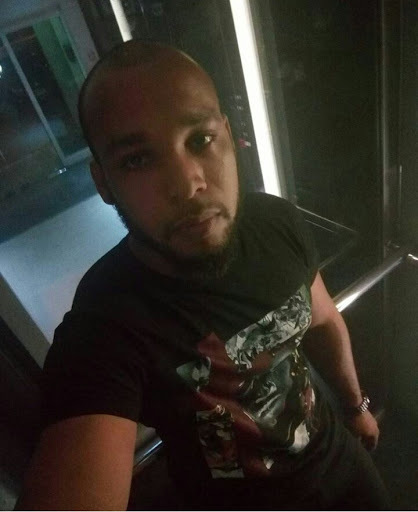 He posted on his Instagram page today about how Karma is a dish best served cold, read his post below. "Trying to make an assault look normal and acceptable, ignoring the hurt the victim felt and still feels every time she remembers the incident. 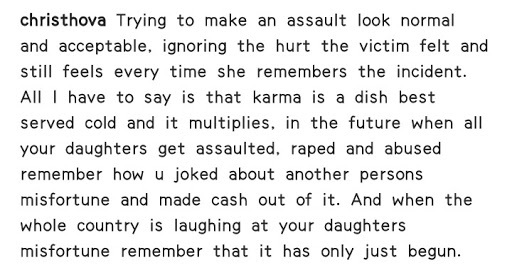 All I have to say is that karma is a dish best served cold and it multiplies, in the future when all your daughters get assaulted, raped and abused remember how u joked about another persons misfortune and made cash out of it. And when the whole country is laughing at your daughters misfortune remember that it has only just begun"